To cater to the diverse Coir Rope needs of the clients, we at, Chandra Prakash & Company are engaged in manufacturing its premium quality. The Coir Rope, we offer, is made by adopting quality methods and is finely twisted to assure better performance, strength and durability. 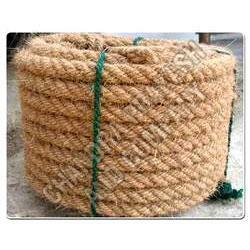 The Coir Rope, supplied by us, is also known for its load bearing capacity as well as the inherent strength.